~Jennifer~ | 3:22 PM | book review | Netgalley Please comment! On the morning of September 11, 2001, sixteen-year-old Kyle Donohue watches the first twin tower come down from the window of Stuyvesant High School. Moments later, terrified and fleeing home to safety across the Brooklyn Bridge, he stumbles across a girl perched in the shadows. She is covered in ash and wearing a pair of costume wings. With his mother and sister in California and unable to reach his father, a New York City detective likely on his way to the disaster, Kyle makes the split-second decision to bring the girl home. What follows is their story, told in alternating points of view, as Kyle tries to unravel the mystery of the girl so he can return her to her family. But what if the girl has forgotten everything, even her own name? And what if the more Kyle gets to know her, the less he wants her to go home? The Memory of Things tells a stunning story of friendship and first love and of carrying on with our day-to-day living in the midst of world-changing tragedy and unforgettable pain—it tells a story of hope. ~Jennifer~ | 2:22 PM | book review | christmas | young adult romance Please comment! Holly Moreau and Nick Zernigan aren’t friends at school – or anywhere else. Especially since Holly blames Nick for her broken nose after a freak accident. But when they find themselves unexpectedly dropped with older relatives at a retirement complex over Christmas break, they must make peace. They have to. It’s the only way to survive karaoke night and a senior citizen Christmas dance. Holly thinks Nick is a careless loser. Nick thinks Holly is a too-serious choir nerd. Can one party and a crime spree change their minds about each other? And can Nick and Holly remember the miracle of Christmas and find the answers to some of their hidden questions? ~Jennifer~ | 9:20 PM | book review | christmas | Netgalley Please comment! Hollie Douglas has dreamed of a White Christmas ever since she was a child, but her dream implodes when her fiance breaks her heart two months before their big day. Convinced by her best friend to go ahead with her planned honeymoon anyway, Hollie doesn't expect to find herself stuck in a snowstorm in rural Canada two days before Christmas. Jim Bell has been dreading another Christmas without his wife. When one of his orphaned animals goes missing in the middle of a snowstorm, he didn't expect he'd be rescuing a stranded Australian tourist as well. He quickly realizes Hollie is carrying as much emotional baggage as him, and when she accepts his offer to seek shelter at his farm, he wonders if he's doing the right thing. As Jim helps Hollie fulfill her White Christmas dreams, the winter wonderland and spirit of Christmas work their healing magic on both of them. 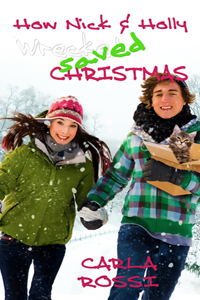 A sweet Christmas romance in the tradition of Melissa McClone and Alissa Callen. I LOVED Operation White Christmas so much at the beginning, but then somehow it lost its momentum and the dialogue turned cringe-worthy. While I realized from the get go that this was a short read at around 90 pages, I still felt like Hollie and Jim got together way too fast. It was unbelievable and unrealistic. Operation White Christmas really should have been expanded to give the characters more depth and the story more time to develop, then I think it would have been a better read. ~Jennifer~ | 8:15 PM | book review | Netgalley Please comment! 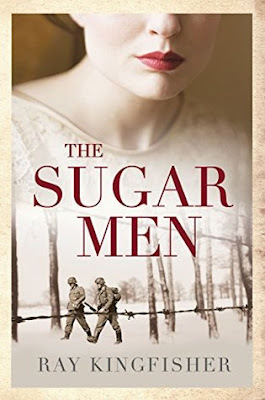 Revised edition: This edition of The Sugar Men includes editorial revisions. ~Jennifer~ | 5:25 PM | book review | Netgalley Please comment! Noreen Palmer describes herself as sweet and responsible, but she can’t stop lying — about why she destroyed the mirror, about her broken love affair, about the things that happened in her bungalow perched on a cliff above the ocean. When Alexandra Mallory and Jared Brady rent rooms in her precariously situated home, the danger of falling over the cliff is the least of their fears. Alex is drawn to both Jared and a strange man lurking around the bungalow, but determined to steer a wide path around her unstable landlord. Soon, Noreen’s escalating threats force Alex to uncover Noreen’s secrets and right a terrible wrong. Alexandra Mallory isn’t like other women — she gets rid of people who make the world a dangerous place. 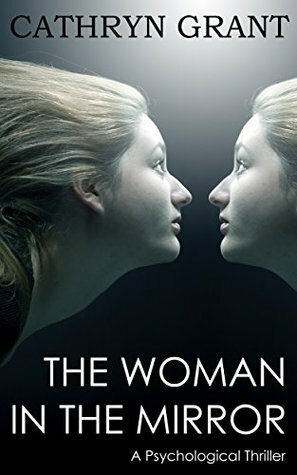 I devoured The Woman in the Mirror! I hated having to put it down when I was forced to do something like sleep, lol. 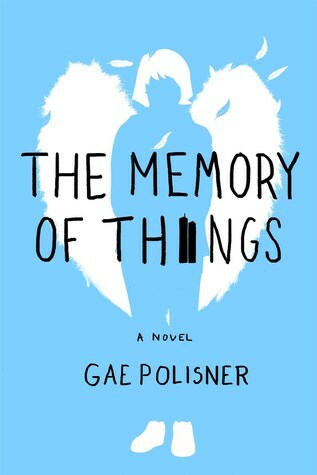 These characters were a train wreck I couldn't look away from, and I was so anxious to see what they would do next that I flew through the pages. The dynamic between them was so tense, I felt it could snap at any moment, and while none of the characters have redeeming qualities, they're definitely interesting to read about. At first glance, Alexandra (Alex) seems like a typical, normal young woman, but I quickly recognized her for what she truly is - a sociopath. As awful as she is, she does pull it off well, I've gotta give her that. This woman's thought processes are scarily skewed. She does a weird personality-mirroring thing that isn't obvious right away but puts her victims at ease to where they don't question her true motives. It even took me a little bit to catch on to it. As much as I didn't like Alex, I was fascinated by her. The way she hurt others to benefit herself boggled my mind. I have no idea how she sleeps at night. I also have no idea why so many men fell all over themselves to have a chance to be with her. What's so great about her? Is her aloofness a turn-on because she isn't emotionally needy? Alex's past is revealed slowly throughout the novel, which I liked because knowing her history is essential to understanding who she is in the present and how she got to where she is. It was also annoying how full of herself she is and how she kept describing herself as so gorgeous and so in shape and blah blah blah. Get over yourself, girl! Then there's Noreen, the girl who placed the ad looking for roommates. Unlike Alex, I could see right away that she has so many issues it isn't even funny. I doubt I would have stayed after the crazy stunts she pulled, but then again, Alex is also unhinged, just on a different level. Instead of advertising for two roommates, Noreen should have been honest and asked for the instant boyfriend and best friend package she actually wanted, people who would be completely okay with the fact that she's unstable and clingy. I truly believe Alex still would have responded to that kind of in-your-face-honest ad. I felt bad for Jared at first, knowing he had no idea what kind of women he was shacking up with, but then he fell for Alex the instant he saw her and my sympathy for him went out the window. He's supposed to be practicing Buddhism and freeing himself of earthly ties, yet he wanted to tie himself down to Alex. He was way too smug about his meditation and yoga practices not to mention the fact he gave up a high paying job for a less complicated, less materialistic life. Dude, give up your flashy car and expensive clothes, then come talk to me. I did think that Noreen's behavior toward him was unacceptable. She wouldn't take no for an answer and insisted on throwing herself at him every chance she got. She's guilty of sexually harassing him! While not as aggressive as Noreen, Jared did become obsessed with Alex, and I couldn't understand why. I suppose he didn't want to face facts. I know it sounds like I didn't enjoy this novel, but that couldn't be further from the truth. Part of The Woman in the Mirror's appeal for me was how awful these characters were. It was entertaining and interesting, especially from a psychological perspective, to dissect their faults and behavior, plus wonder what awful thing they'd do next. This is an exceptionally well written novel but may not be for everyone, depending on whether you're able to read about characters you don't like. If you're okay with characters who aren't redeemable, then you'll likely enjoy The Woman in the Mirror. According to Goodreads, this appears to be the first book in a series. Is there more story to tell about Alexandra? She isn't someone you root for, not really, so I'm wondering what the next book will be like if there is one. I do think there's more story about her that can be told, and I'd definitely read it. ~Jennifer~ | 4:01 PM | AToMR Promotions | book review | Netgalley Please comment! Complimentary copy for review through AToMR Promotions via Netgalley - Thank You! When you spend your whole life feeling invisible - when your parents care more about deals and deadlines than they do about you - you find ways of making people take notice. Little things at first. Then bigger. It's scary how fast it grows. Then one day something happens that makes you want to stop. To get better. To be better. And for the first time, you understand what it's like to feel whole, happy...loved. For the first time, you love someone back. 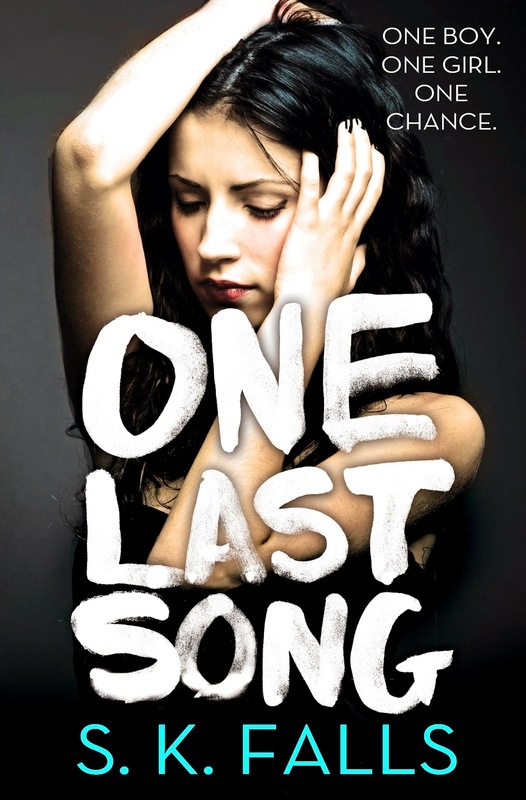 One Last Song is a dark romance where a girl named Saylor pretends to be sick and falls in love with a guy who really is ill. Drew assumed she was there for a support group, but in actuality she was volunteering at the hospital. The problem is he doesn't know she's pretending, and she doesn't want to lose him so she keeps lying to him. She's been diagnosed with Munchhausen syndrome and borderline personality disorder. People with Munchhausen feign illness because they want attention and sympathy. From what I know about this syndrome (I have a B.A. in Psychology), Falls (the author, who has a degree in Psych, too) hits it on the mark with Saylor's symptoms. Saylor is written to be very knowledgeable about medical procedures and can cause herself to get sick enough to need long-term treatment at times. The role of patient is familiar and comforting to Saylor and fills a psychological need that she has, which is that her parents are emotionally unavailable to her. She has an awful relationship with her mom and dad - they both ignore her and go to painful lengths to do it. You wouldn't believe how much they don't pay attention to what she's doing, and they never show her love. I don't know how I would handle that situation if I were her. It's not something I want to think about. I felt highly uncomfortable at times while reading One Last Song because I knew it was only a matter of time before her secret would come out. She kept putting it off, and I was dying inside a little bit more each time she had the opportunity to spill. I wanted to ask her why didn't she just tell the group, especially Drew, she wasn't there for the support group? But the disease had taken hold of her, and she felt that her behavior was all that was keeping her together. Falls has done the impossible and made me empathize and care about this girl. One Last Song takes a look at far more than this predicament this girl is in. This takes a look at life and death, and she sees that what she's been doing is child's play compared to what these teens actually facing death are looking at. S.K. Falls likes to believe a degree in psychology qualifies her to emotionally torture her characters in an authentic fashion. Her books have won the gold medal in the 2014 IPPY awards, been featured on USA Today's book blog, and regularly appear on Amazon's various bestselling lists. When she isn't writing her twisted love stories, she can be found gallivanting around Charleston, SC with her family.